When it comes to dinner recipes, I’m all about quick and easy. If it takes too long, or it’s too complicated, I just can’t make myself put the time into it. I love recipes that are easy, simple, and family-friendly. 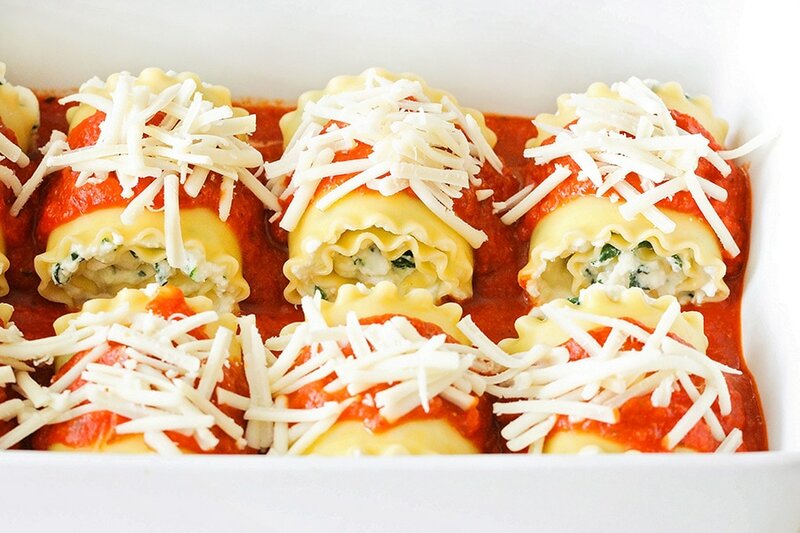 These cheesy spinach lasagna rolls fulfill all of those requirements, and they’re delicious to boot! They have all the tastiness of lasagna, but they’re even easier to make, and perfectly portioned in individual serving sizes. 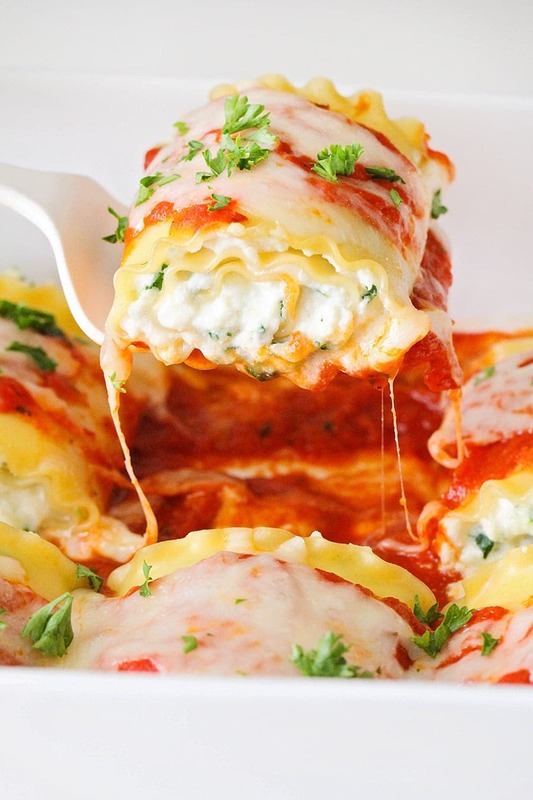 These cheesy spinach lasagna rolls are a vegetarian meal that’s still hearty and filling. You won’t even miss the meat! The savory ricotta filling, packed with mozzarella, parmesan, and chopped spinach is seriously out of this world. Surely it will be a hit with the whole family, even the kiddos! Cook lasagna noodles and lay flat on wax paper to cool. Combine remaining ingredients (aside from the marinara sauce) to create the cheesy filling. Spread the ricotta mixture on the cooled noodles, and then roll them up into cute little bundles. Be gentle as you’re rolling, so the filling doesn’t squish out the sides. 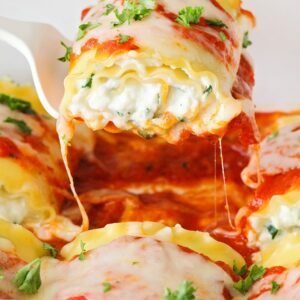 Add your lasagna rolls to a baking dish with 1 cup of marinara sauce in the bottom of the dish, and top them with remaining marinara sauce and mozzarella cheese. More cheese is always a good thing! Bake in the oven until they’re melty and gooey, about 35 minutes, and then dig in! These really are so easy and can be changed up based on the fillings you want to use. Instead of cheese and spinach you could also do cheese and chicken or even cheese and sausage. So many possibilities! 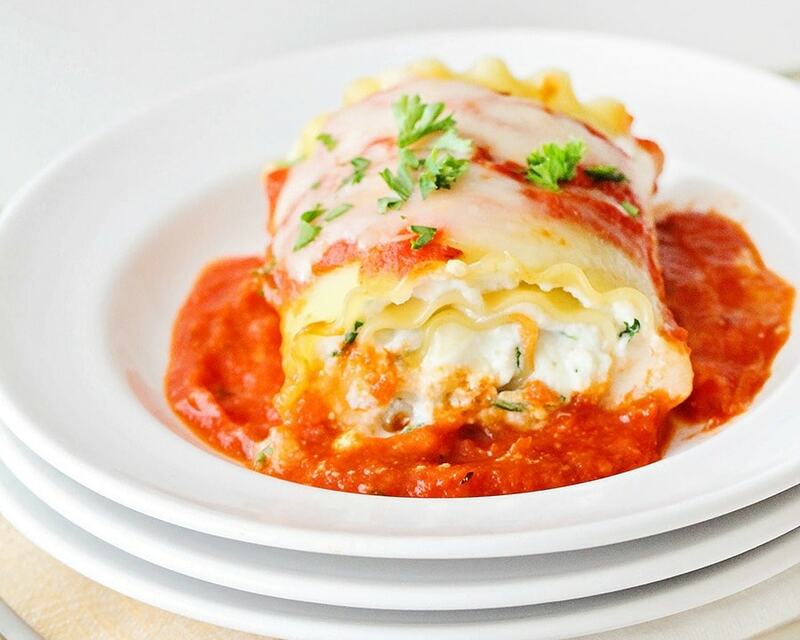 I love that these lasagna rolls have three different kinds of cheese – it adds so much great flavor. 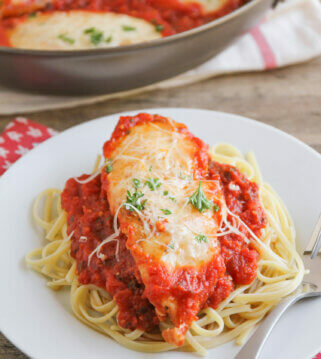 They were a huge hit with both of my kids and my husband, and will definitely be added to our regular dinner rotation. They’re perfect for a busy night, and the leftovers are fantastic too. 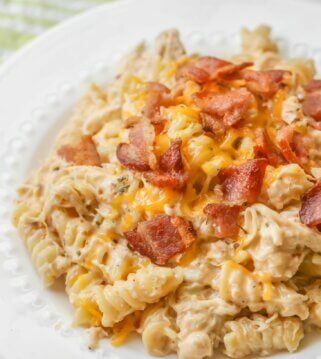 If you love easy recipes as much as I do, this is definitely a must-make recipe! Cook the lasagna noodles according to the package directions. Drain and lay flat on wax paper to cool. 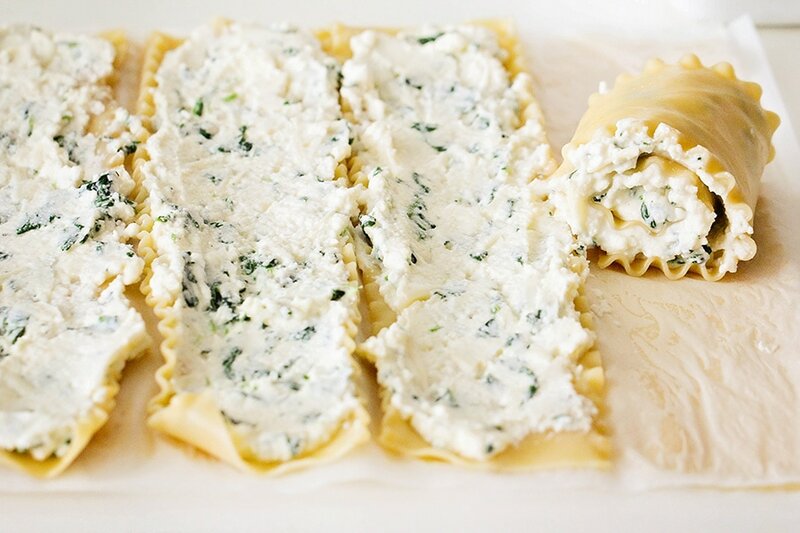 In a medium bowl, combine the ricotta, spinach, eggs, parmesan, garlic powder, salt, pepper, and 1 cup mozzarella cheese. Spread 1 cup of marinara sauce in the bottom of a 9 x 13 baking dish. Spoon the ricotta mixture over the surface of each noodle, spreading about ¼ inch thick. Gently roll up each noodle and place in the prepared baking dish. Spoon marinara sauce over the top of each lasagna roll and sprinkle with remaining mozzarella cheese. Bake 35-40 minutes, or until the cheese is melted and bubbly. I completely agree with you! 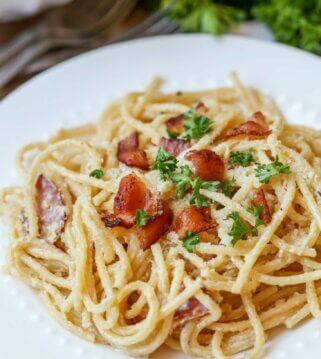 I’m all about quick and easy dinner recipes for sure! Can’t wait to try this one!! Thanks for sharing Alicia! 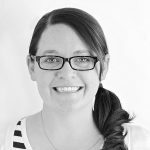 Head over to The Baker Upstairs to see more of her amazing recipes! You are so welcome! I hope you’ll try 🙂 Thanks so much for stopping by! I ran out of the spread well before I could use up even half the noodles. Am I doing something wrong? Did I not make enough. I followed the instructions to the letter. This is a contributors recipe, so I’m not quite sure. Are you putting just enough to coat the noodles? I followed the recipe minus the spinach. It took all but 2 noodles. Could use a bit more flavor but overall excellent. Will make again very easy. I baked it for 40 min. Could add ground beef. I love this recipe for ease in prep and assembly! 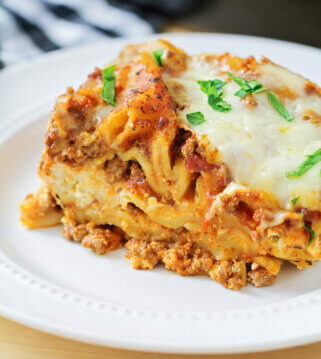 WE love to add crumbled browned meat and no one complains when i make this! I also Have had great success in freezing these for a quick dinner On a busy night. Thanks! When you say 4 cups of spinach, do you mean four cups raw spinach before it is steamEd?